A fabric bow has can be used on so many creations from a dress, hat, shoes, hair accessories and just about anything your heart desires. 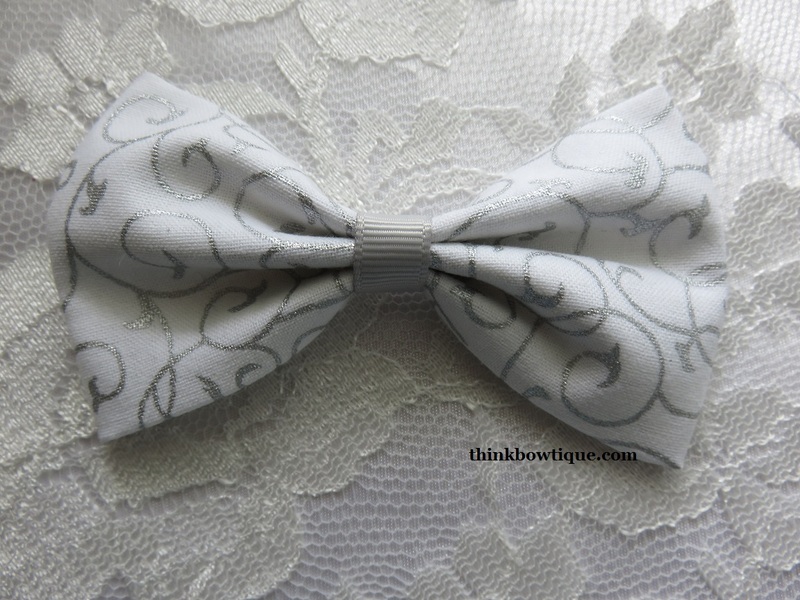 This simple no sew fabric bow instructions will have you creating bows in no time at all. All you need to make a 10cm by 5cm bow is one piece of fabric cut to 20cm by 12cm. 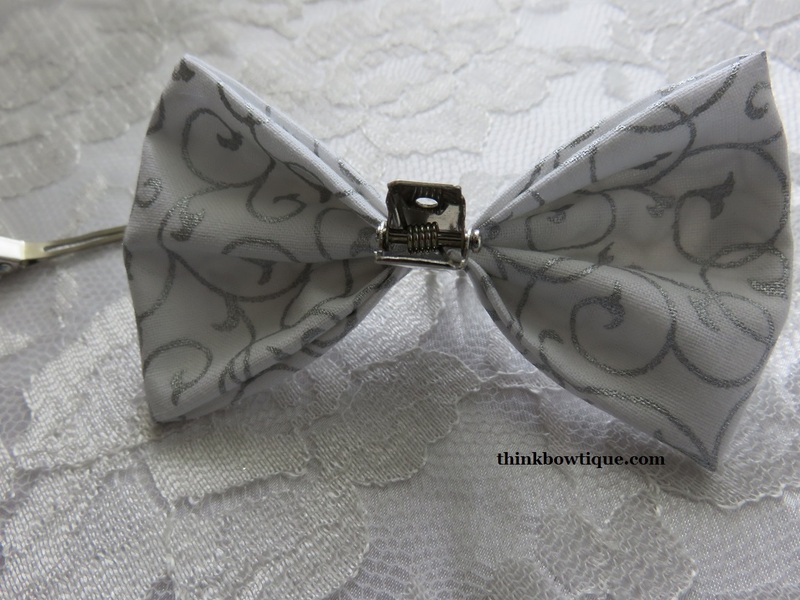 You will need either a length of fabric or ribbon for the bow centre. Scissors to cut out your fabric. If you are going to make lots of bow the same size it will be quicker to make a template. Recycle an old cereal box. 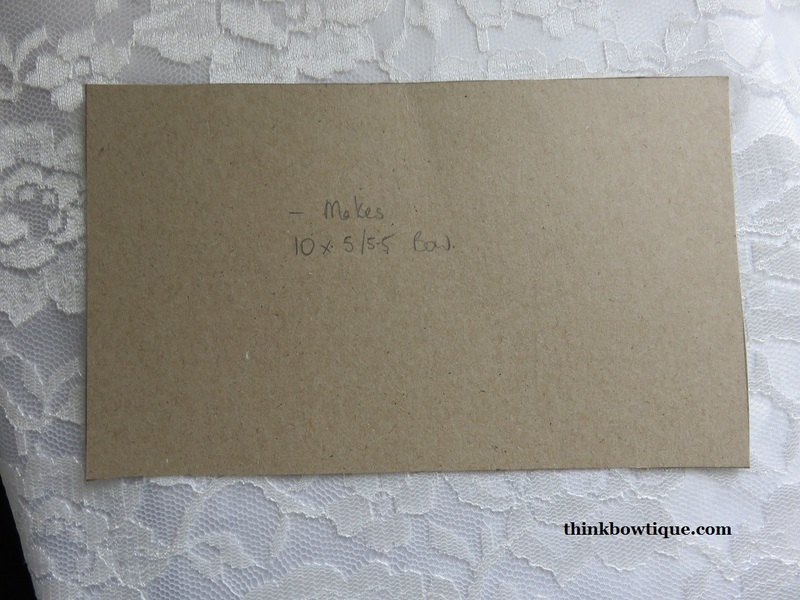 Mark out your measurements on the back of the cardboard and cut out. Now you can just trace around on your fabric instead of having to measure each time. Once you have your select fabric cut to size. 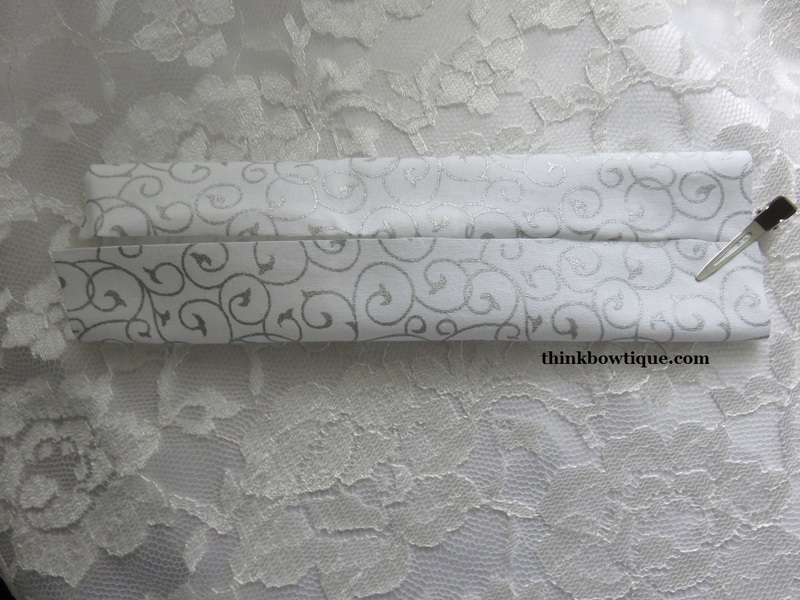 You simply fold your two long lengths in half to mark a soft centre line. Now fold your top edge to the centre mark. Then do the same with the bottom edge. At this point you can iron to press the edges if you want a crisp edge. Now fold you short ends in half and gently push the fold to mark the centre. Then fold each end into the centre mark. You can also iron at this point if you wish. Now gather the centre of you bow. I am using a clip to hold it so I can take a photo. Once you have gathered the bow centre you can add a dab of glue between the gathers at the back. 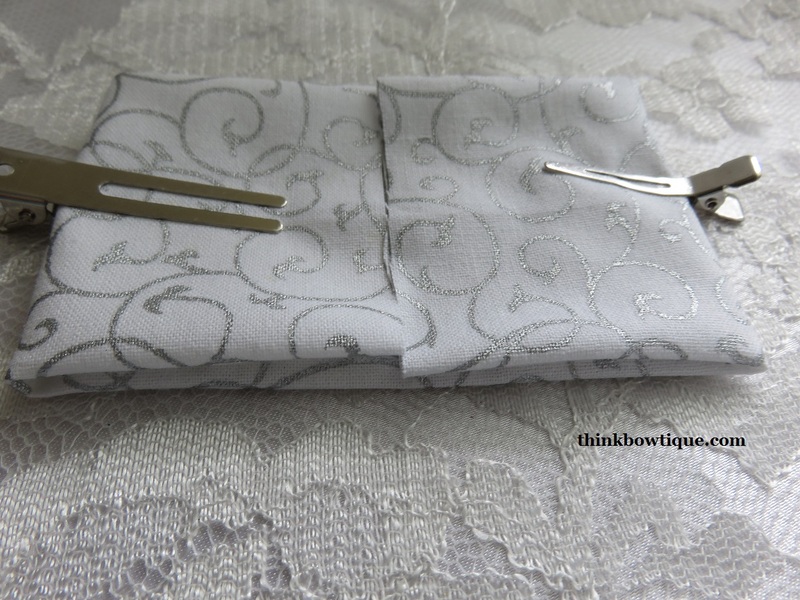 You could also use a needle and thread if you wish and stitch the centre. I decided to use a length of 9mm grosgrain ribbon for the centre. You could also use satin ribbon if you prefer. If you are using a length of ribbon for the centre place a dab of hot glue on the back of your bow and glue the ribbon down. Then wrap your ribbon around the front of the bow and back to the back. Then add another dab of glue and glue down, trim of excess ribbon. If you wish to use the same fabric as the bow. 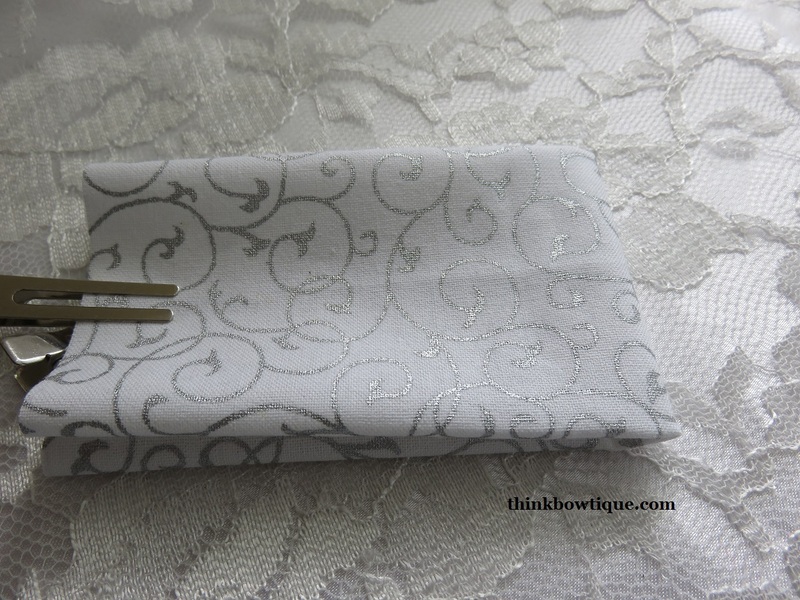 Take a length of fabric about 6cm long by 2.5 cm wide. Fold the fabric in half to mark the centre. Then fold the edges to the centre mark so you have no raw edges. 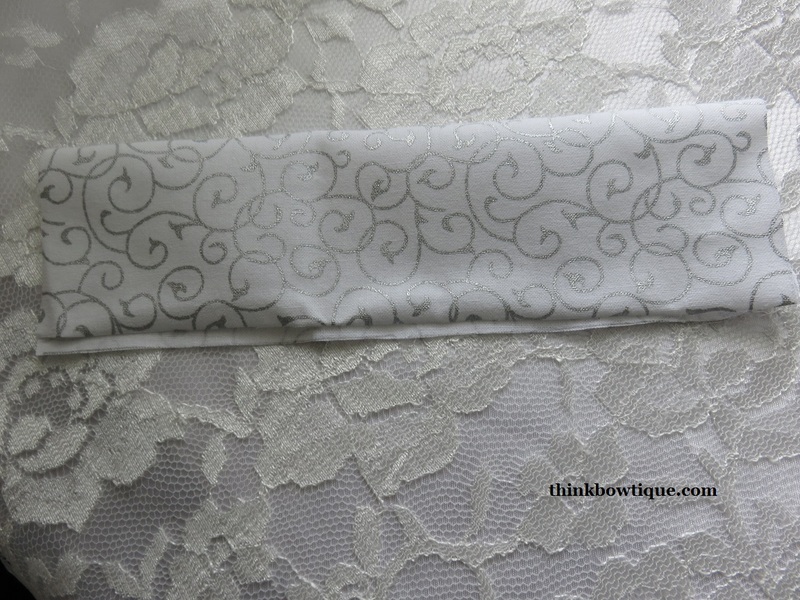 Then glue the end of the fabric to the back of your bow. 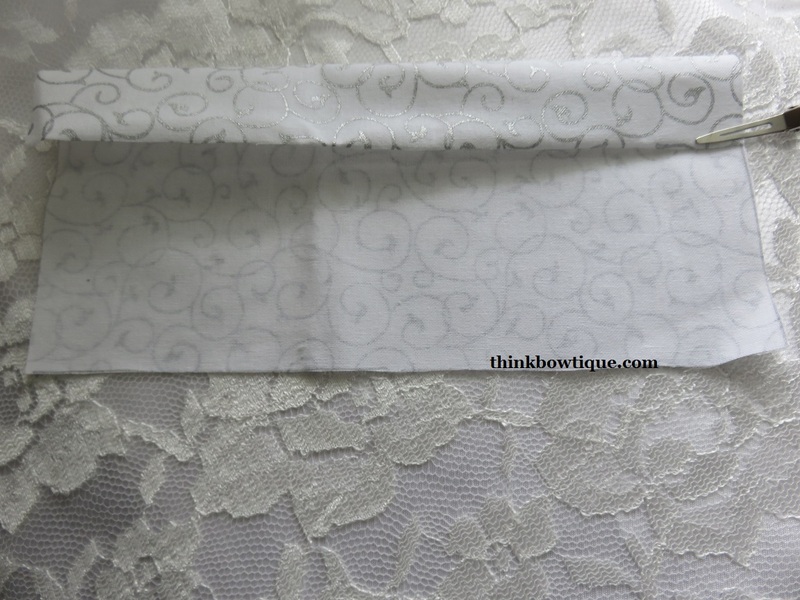 Wrap around the bow the same as the ribbon and glue the back and trim off excess fabric. Now if you wish to make different size bows. No problem. All you do is decide how wide and long you want the bow to be. First add 1 centimeter to the width of you bow. Then times the width by two and the length by two. You can now make any size bow you like.